Reactions are strong when All-Sun isn’t included in top ten lists that rank metal detectors. Some of their best models was made years ago and is still preferred by large organizations. With a great assortment of extras to round out their biggest products, the company solidified itself as an industry leader. First on the list is a security wand by All-Sun that is often used in multiple settings needing security. It has the classic flat end that is seen at checkpoints when people are scanned. The price is low, and the sensitivity settings are varied enough to spot small and large objects. In quiet areas the sound can be switched to vibrate mode so that it doesn’t disturb the workplace. A headphone jack lets you plug in any compatible headphones or earbuds, and is conveniently located above the desensitize button. There are two buttons in total in the middle of the want, so there is nothing confusing about the layout. One 9 volt battery is needed to power the wand for months at a time. Getting good batteries is a big help, but not entirely necessary due to the advanced mechanics. The biggest difference between All-Sun wands and competitors is the way they detect objects. With the use of their proprietary software controlled chip driver, better detection is possible even when objects are hidden beneath layers of material. You’ll also get less false readings with this model even when the temperature would affect performance of lesser devices. Due to the low price and high accuracy, this is considered to be one of the better wands you can purchase. The first full sized metal detector on the list is the YS166A, a mid-priced product supplied by a built in battery. That makes it unique to other metal detectors since it doesn’t use the regular replaceable batteries, and also makes it a better fit for long term use. Along with longer run times the rechargeable lithium battery can be used multiple times before it begins to degrade. Two detection modes are selectable from the control panel; all metal and non-ferrous. It provides enough filtering to find as much or as little as you want. In the box are the usual goodies, including some good starter op0tions like earphones. They are a good quality set that does the job in alerting you while keeping out outside distractions. The LCD display is large and readable, even for eyes that find it hard to adjust to black text. All-Sun squeezed a lot of information on screen for advanced users without overwhelming the general user. It is the most efficient way to read information that changes at a moment’s notice. 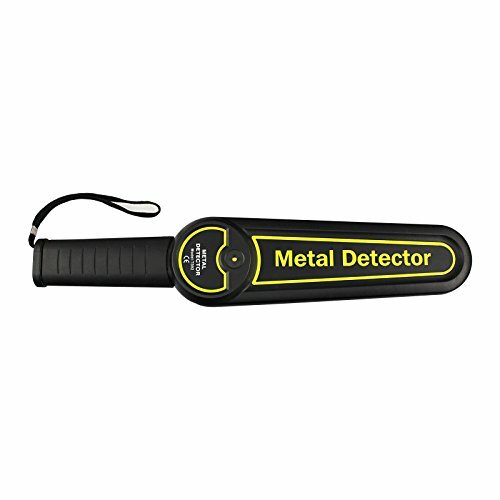 Detection range varies since it is based on how and where you’re operating the metal detector. But the max detection depth is fairly large, with a 120cm average for iron. Other metals will have different ranges but will be equally as impressive as the one listed for iron. There is a bit of bulk while operating this unit with the majority of it coming from the coil. With a few adjustments to the settings, this metal detector comes highly recommended. Going for a traditional look is what makes this next high priced model stand out from the rest. Powered by six AA batteries, you can depend on this metal detector to last for months without changing the batteries. Power saving features are built in, and changing the filtering options lowers the amount of power it uses for specific tasks. Audio frequency is 450 hz, but is nothing amazing and won’t blow your ears off. 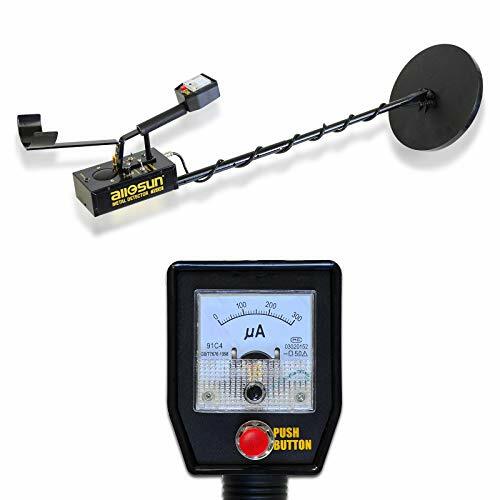 Signal frequency is 6.99, meaning it is about average for a metal detector. That still won’t stop you from finding objects that are about 2 m in depth. The headphone jack is in the standard place, completely out of your way while using the product. Defining qualities of the TS130 is its tough iron materials and improved penetrability. Although it is on the heavy side, you won’t find a tougher metal detector. The traditional dials and added durability makes it a perfect fit for professionals, although the general consumer can get plenty of use out of it. The design favors comfort, and is shaped so that when it is used with a single arm the weight is balanced. Buyers will be able to find plenty of metal objects with this model while gaining a huge appreciation for the design and mechanical decisions of All-Sun. With a single 9 volt battery this security wand will become the last metal detector you ever need. It’s low cost and a good alternative to the TS95N offered by All-Sun. In fact, this is where the TS95N got most of its innovations, right down to the built in headphone jack. At the time it was introduced, the TS92 was innovative in multiple areas, especially with its small 0.43 length. It was the current best handheld scanner available, and even today its price is a little more than the updated TS95N. The weight is still under a pound, so it is more than suitable for a hip attachment. Equipped with a high detection rate, this model has been used in multiple worldwide competitions and political gatherings. That includes the popular 50th Anniversary of Xinjang Uygur Autonomous Region. All of the important features are on the front panel for easier access. The charging area shares the same port as the headphone jack, while the only noteworthy buttons are desensitize and the sensitivity adjuster. There is good volume out of the speakers so that you can hear the beeping and alarm sounds. Silent alarms are possible through vibration alerts or with the built in LED alarm. This is just one of the greats in security wand models. Even against newer competition, the TS92 reigns supreme. All-Sun is a newish company that was set up in 1993 as an alternative high tech solution for the marketplace. Much more than a common metal detector manufacturer, All-Sun is involved in the testing, research, sales and creation of measure and test instruments. In a short time they have already become a popular name due to continued successes with consumers and professionals. Their research center in Taiwan is a big deal, and is the innovator of many of their biggest products. A majority of their best products are exported to USA and Europe following CE, GS, CMC and UL guidelines. Buyers can get the best products from the company at a low or average price. They don’t stock a lot of high priced metal detectors, and that includes the ones considered flagship. A direct comparison between their hand wands against competitors shows that they are evenly priced. For an older generation wand like the TS92, the price is a little higher due to the demand of that particular model. This is a common trend in the industry when a product is preferred by a lot of professionals or organizations. But even then it is still on the lower end of the price ladder while providing excellent performance. This is where a lot of All-Sun’s products really shine, providing a completely different experience than other brands. They have some really good ideas that haven’t been copied by other companies and are exclusive to their own personal brand. Headphone Jack For Wands – A standard 3.5 headphone jack is available on all of their mainstream hand wands. It also shares a port with the charging jack so that the device stays small enough to carry on your hip. Fully Equipped – Most of their hand wands come with a case, batteries and earbuds. The case alone is worth it, and an important part of what makes the brand different. 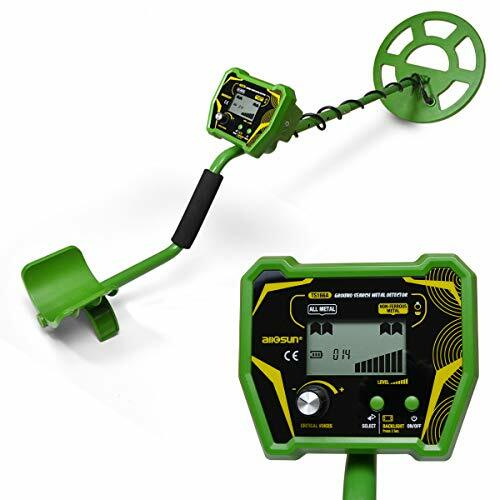 Ground Balance Mode – Equipped on their full size metal detectors is this feature which makes it easier to find objects on multiple types of terrain. When it kicks in for the first time you’ll never want to go back to a brand that doesn’t use some form of it. Built-in Batteries – There is no denying the appeal of a metal detector that doesn’t need to have its batteries swapped out all the time. Not a lot of companies do it, and that is what makes some of the products from All-Sun so special. There is a lot of contention about whether the frequency of All-Sun products is enough to satisfy the needs of professionals. For consumers, their average frequency is just fine, no matter what type of objects you’re looking for. For professionals the same is true, and there have been no complaints about the accuracy of their metal detectors. Some special case scenarios will be beneficial for customers that choose rival products with higher frequency. If you have tough terrain or a metal detector with endless options, higher frequency makes them perform better in any condition. All-Sun and their average frequencies will get the job done for most users, so chances are you won’t have any problems with precision object finding. Power usage is above average for their full sized metal detectors that don’t have rechargeable batteries. This applies whether you’re using generic brand or high tier batteries. Power usage for their metal detectors that have built in batteries is average, with a quick charge time when you plug it into an available outlet. Their hand wands use little power, and you won’t notice much of a difference in usage even when operating with full sound. Overall, All-Sun does a nice job with power usage in their products based on which model you choose. This is a slight departure away from energy conscious companies, but it could also be why All-Sun products are top three in efficiency. There is nothing pretty about an All-Sun full sized metal detector. It is all business, with a visible coil line wrapped around the handle and connecting to the control panel. They have different colors for their models, with the hand models the only products that have an appealing design. The TS92 is still their best looking product, even when going head to head with its successor. What the company lacks in aesthetics they have made up by making the design comfortable to hold for long periods of time. All of their full sized metal detectors are perfectly proportionate while searching for objects, so users with shoulder or back problems will want to look into buying an All-Sun metal detector. Batteries – Whether it is a regular battery or rechargeable, there is a good chance it is included in the package. Their rechargeable batteries are of great quality and can be used multiple times without degradation of the full charge. Case – Their handheld wands come with a case for storage when you’re not using them. They fit well and will protect the device from minor bumps and drops. Earphones – They aren’t studio quality but they get the job done. Buyers will get either earphones or earbuds depending on the model chosen. Hand wands will always have earbuds when they include hearing devices as an extra. 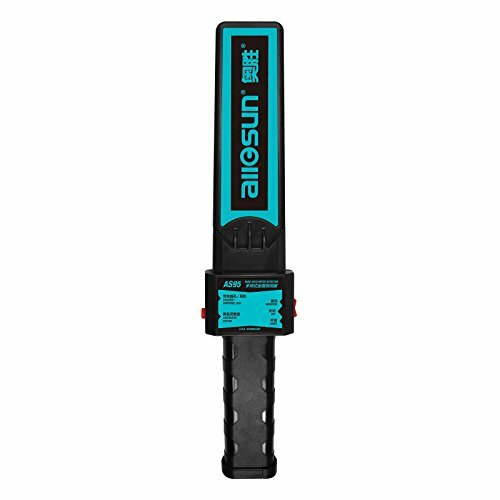 All-Sun uses a complex inner structure with their handheld models and a traditional coil wire setup with their larger metal detectors. The hand wands in particular are increasingly complex to improve precision, but also to protect the most important parts from damage. A side by side comparison of other hand wands shows that All-Sun has a better build quality over the long term. Counterfeit makers of hand wands haven’t been able to copy their design, so there is a huge gap in durability. On the other side, All-Sun is on an increasingly short list of companies that use iron as their main material when creating some of their larger metal detectors. Not only is it strong, but they design it so that it still retains a light weight. You won’t find many companies that will do a better job across the board at getting you the most precise metal detectors for the job. All-Sun is a top five brand in the industry, with a lot of organizations lining up to buy their hand wands in bulk. Although this is what they are known for the most, there are still plenty of diehard users that prefer the comfort provided by their full size metal detectors. Over the years All-Sun has become a company known for providing metal detectors for businesses. Normal consumers would do themselves a big disservice if they overlooked the value of having an All-Sun metal detector as a top three pick. If you’ve never purchased an All-Sun product before, then prepare to be wowed by their warranty program. They have a robust warranty program included with each one of their products. Parts covered will differ based on the metal detector, but they are all well taken care of. Contacting the company through email or the phone leads to a speedy resolution. Their website is a hub of information, so even if you lose the manual there is a resource online. One thing that may confuse buyers is the many different branches of the company, as All-Sun sells a lot more than metal detectors. With a little bit of searching, product/warranty information is only a few clicks away. Does All-Sun Have The Best Wands? In a head to head competition with Pyle, the two companies would probably be tied. All-Sun is the more popular of the two, and they provide the better starter set with the inclusion of a case, headphones and batteries. That makes it a better deal for companies that buy in bulk. Out of the box they’ll have a ready to go hand wand with no configuration needed. If you want to look outside of wands and compare full size metal detectors, then Pyle wins out big. Their full featured metal detectors are more favored than All-Sun, although once again they would lose out if comparing which one had the better ‘starter’ set. So in the end, businesses that need a ready to go product will be served best by going with All-Sun rather than the competition. All-Sun metal detectors of all kind are a little larger and bulkier than the competition. They aren’t heavier, even when iron is the main material used. The bulkiness or size of their products has to do with being sturdy for the hand wands, while their large metal detectors favor the bigger size for comfort reasons. Adjustments with the bigger models are set up for multiple arm sizes so that you get the best balance while scanning with one arm. When a brand can brag about the list of professional events their metal detectors are used in, then you know they are the real deal. All-Sun is a solid choice for businesses and consumers that want a complete product.